Few days ago the CCV on my 3.0 X5 froze up and started to consume oil and cause engine lean codes-misfires, I have read that these CCV's love to fill with condensation sludge in the winter time, and even though I made sure to never make 5 minute short trips mine still managed to freeze up. 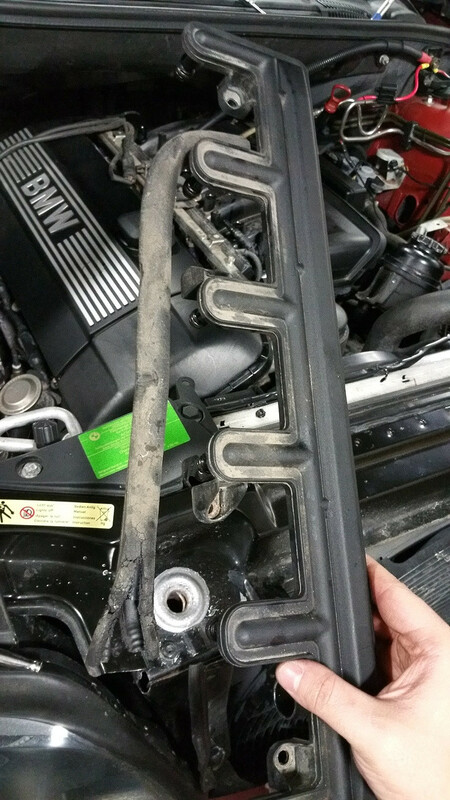 So while looking for a solution to this problem I stumbled upon this thread here : http://www.bimmerforums.com/forum/sh...-in-10-mins!!! It looked like a good cheap solution to a very common problem. All credit goes to member S14B23 I followed his instructions and took some pictures along the way. 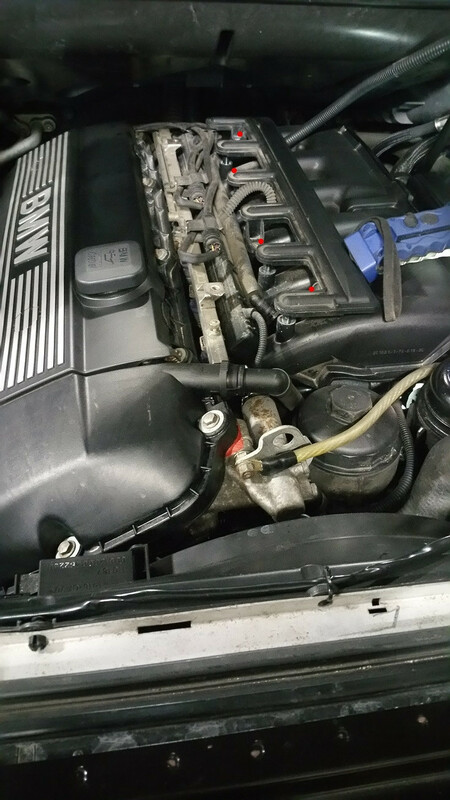 Since replacing my CCV with a traditional PCV all of my problems disappeared, no more engine lean codes and a silky smooth idle, and not to mention no more worrying about my CCV freezing and hydrolocking my engine with oil from the dipstick tube. I will keep everyone posted as to how this is holding up in the upcoming months, but as of now I am very happy with the results. 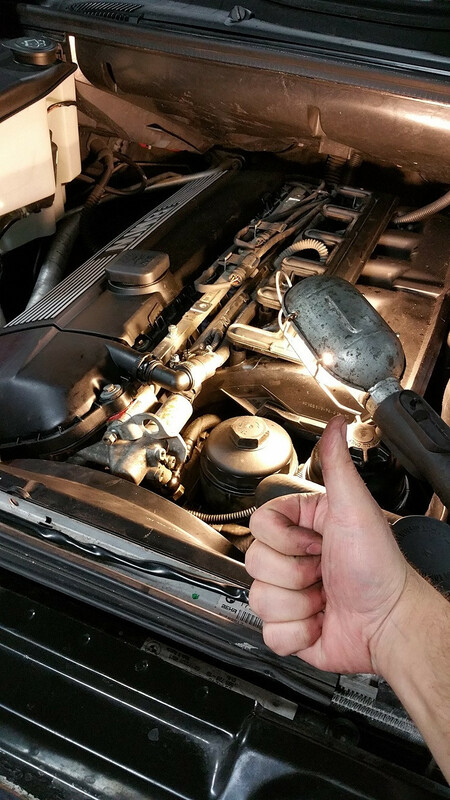 This took approximately two hours, but I was also replacing my Oil stand gasket while I was in there. 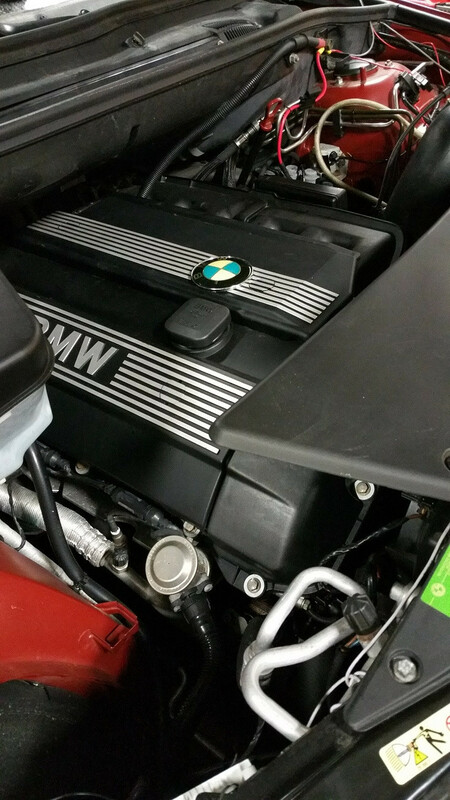 I know I performed this on my X5, but this will be 99% identical to E39's, E46's, E53's and anything else with an M54-M52TU engine. 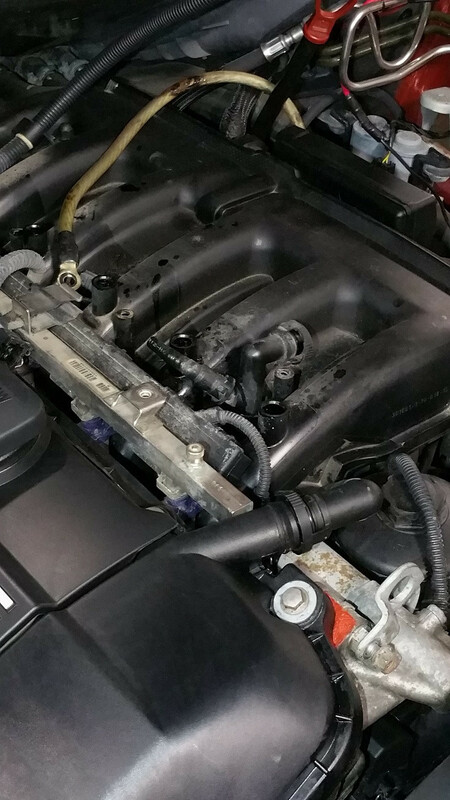 Next we begin by removing the plastic engine cover and removing the 4 Torx bolts marked by the red dots on the air distribution piece. 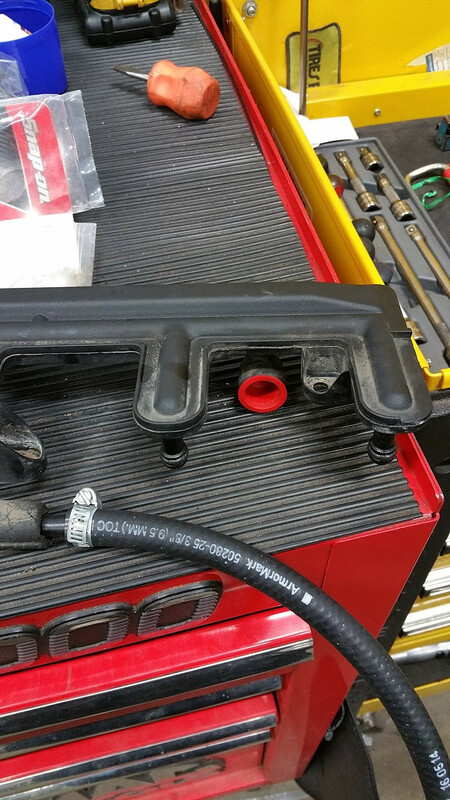 After the bolts are removed spray some penetrating oil onto the 6 little plastic tubes that go into the intake manifold, I used a pry bar to gently pry each plastic tube upward without damaging anything. 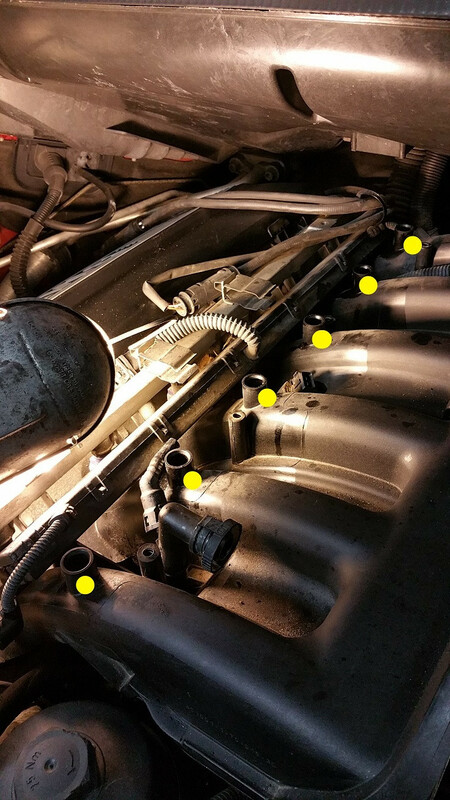 Keep in mind that the air distribution piece is still connected at the Green dots, after you pry everything up, disconnect the clip near the green dots, keep the yellow dot clip attached because that will lift with the entire assembly, and cut the tube with a razor where the red dots are, be careful not to cut yourself. 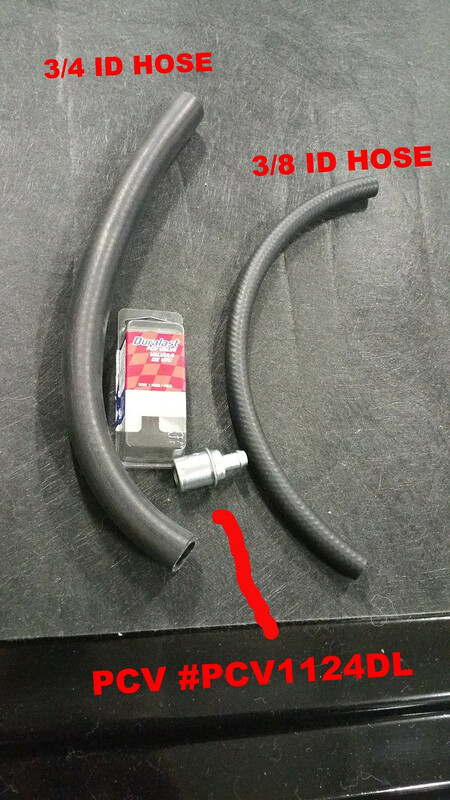 When everything is cut and disconnected, you can lift the entire air distribution assembly up along with the attached hose that we need. 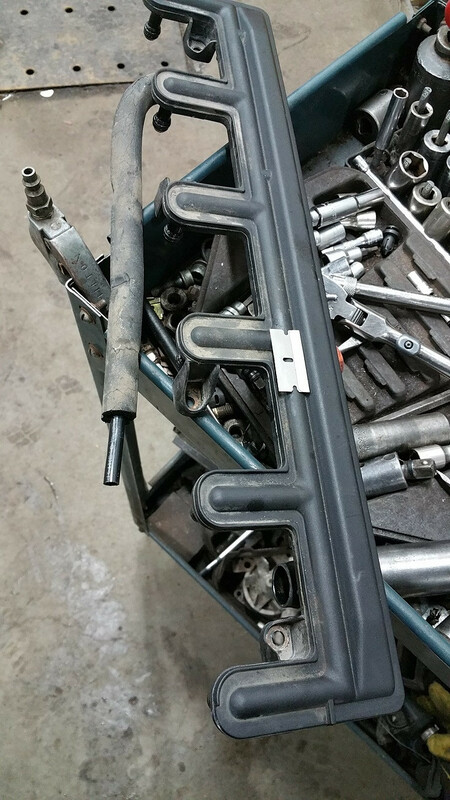 Don't worry about these two connections between the intake runners, we will disconnect all of the CCV vacuum lines so these will be useless, cut them off if you like, I just left mine there. Now with this piece removed, carefully take off some of the insulation from the vacuum tube. About an inch should do. 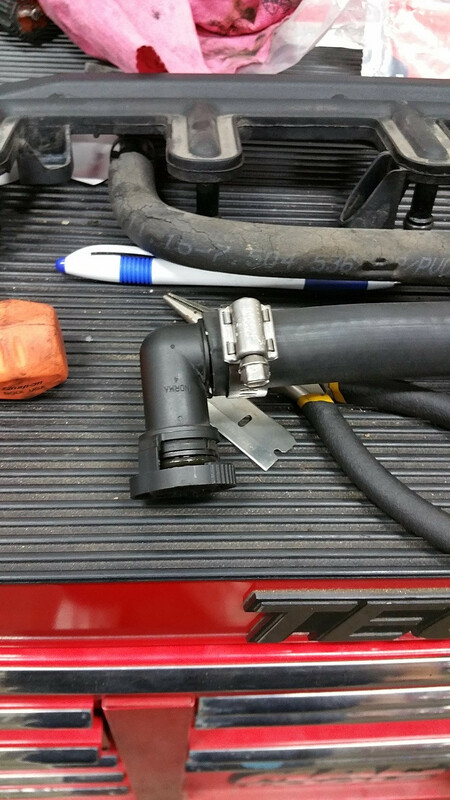 I wrapped some electric tape around the tip to create a tighter fit into the 3/8 ID Hose. 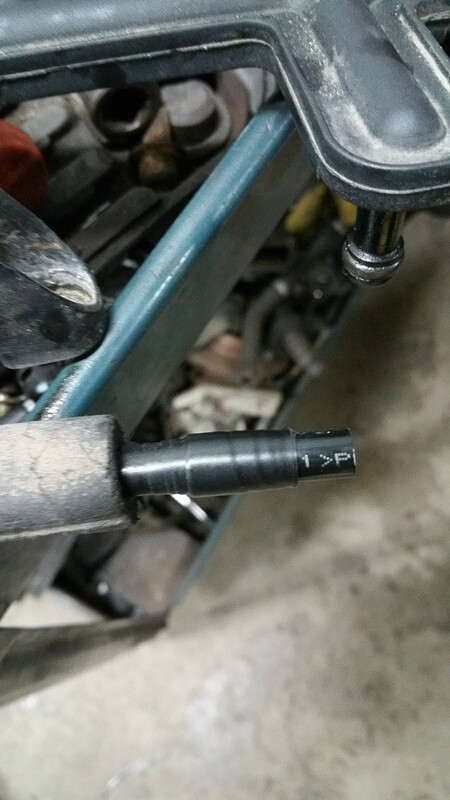 Then attach the 3/8 ID hose onto the tip of the vacuum tube and tighten with a band clap. After that you have to plug the port on the opposite end of the air distribution piece, I found a red plastic cap that fit in very tight. Wrapped the plastic cap with electric tape to make sure it doesn't fall out later. 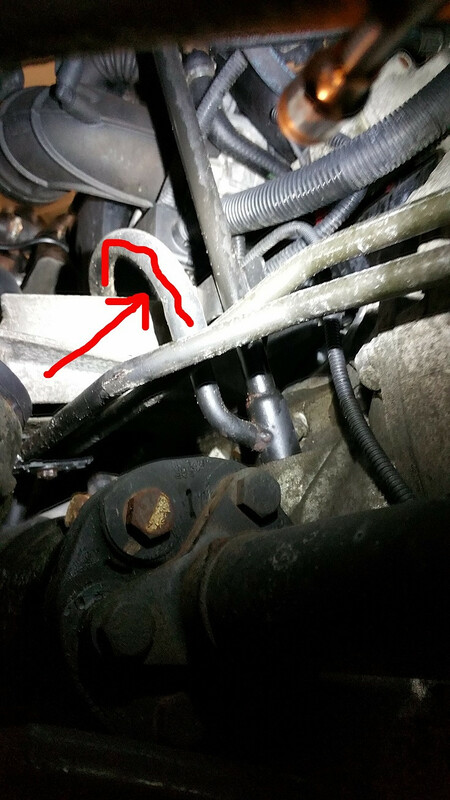 Now it's time to cut the other connection off, You can cut it anywhere, I just chose to go lower cause I had the oil filter stand off, remember that the OEM CCV is now useless and we don't need the other end of that plastic pipe, I left mine where it was without plugging anything. 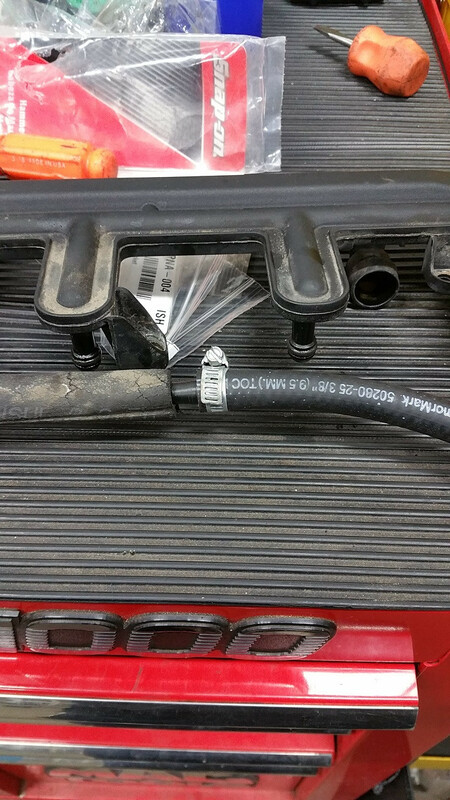 When everything is cut, strip all the plastic tubing off of the connector and insert it into the 3/4 ID hose, tighten with a band clamp. 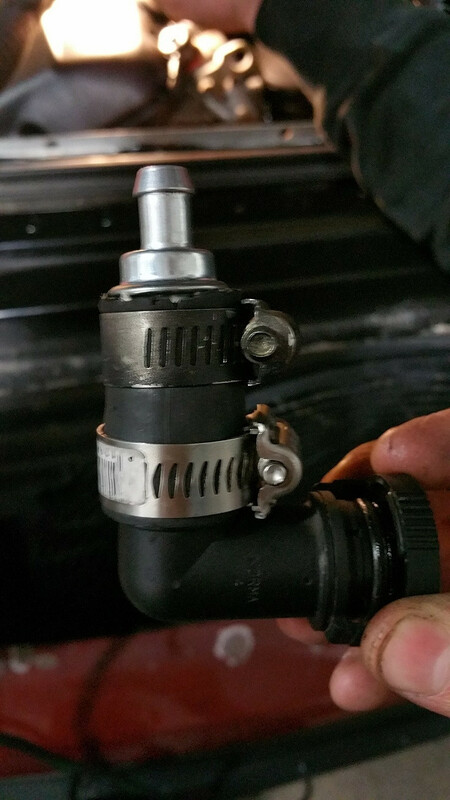 Then cut the 3/4 ID hose as short as you can, then fit the PCV valve into the hose and tighten with a clamp. 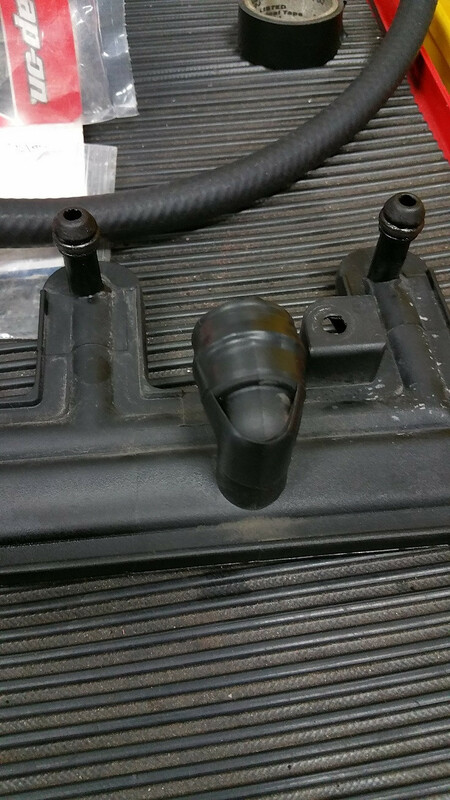 Now clean all 6 of the air distribution port holes on the intake manifold I used brake cleaner and a rag, I also applied a little grease to make re-installing it easier. Like I said earlier, don't worry about those 2 connectors between the first and second yellow dots, they will no longer have any vacuum. Now line up the Air distribution piece up with the six holes, and gently tap each one back into place. 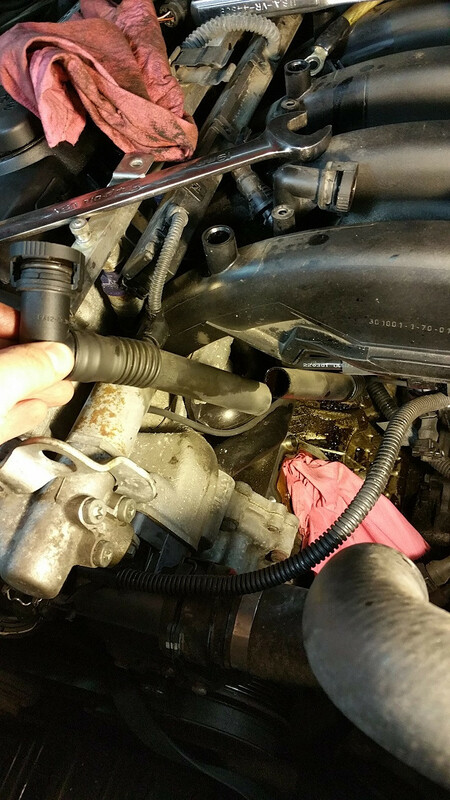 After that, connect the new PCV connection back into the valve cover, then measure out the smaller hose and cut it to fit into the other end of the PCV valve neatly. 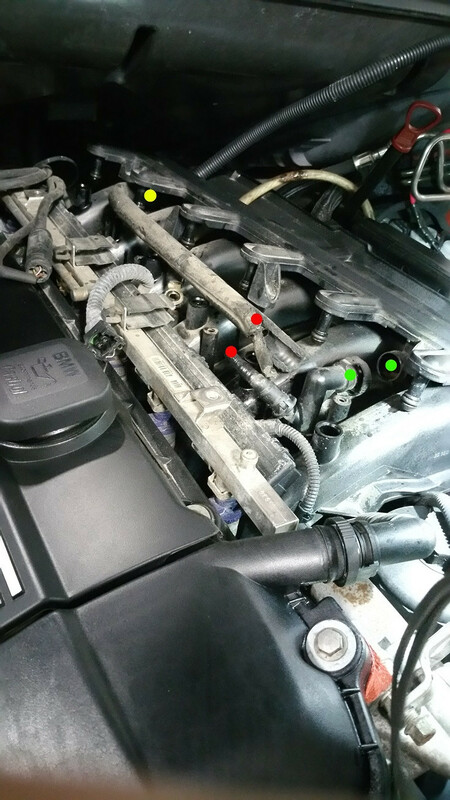 Now you go under the car and remove the plastic splash shield and find your CCV dipstick drain hose, which is marked in red. 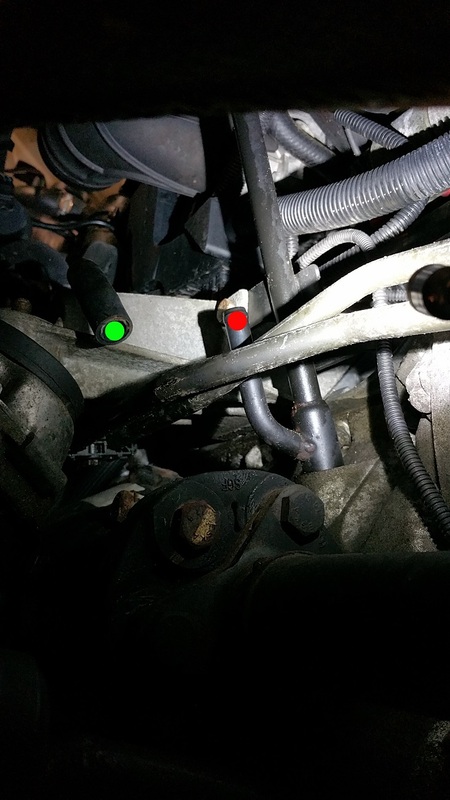 You then take off the hose from the dip stick tube(Green dot) , then find a plastic cap to firmly close the metal part of the tube where that hose was (Red Dot). CONGRATS! You did it, the factory CCV is now completely blocked off and bypassed by the new "old fashioned" PCV system. 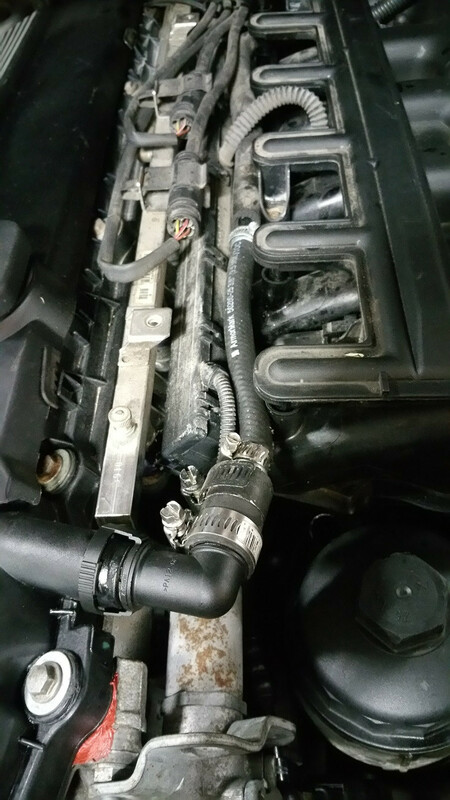 Start the car up and check for any air leaks or unplugged connections. 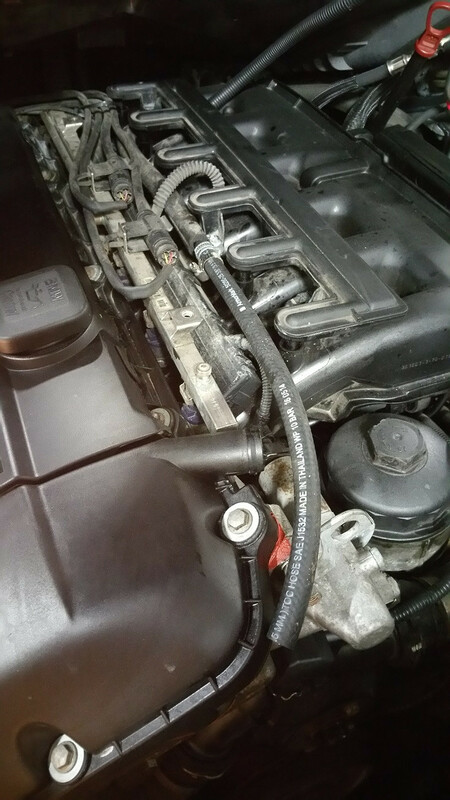 After you make sure everything is working perfectly, put all your plastic covers back on and enjoy your sweet new PCV system, and if the PCV valve ever breaks, replacing it is literally a 5 minute job, unlike a OEM CCV system.